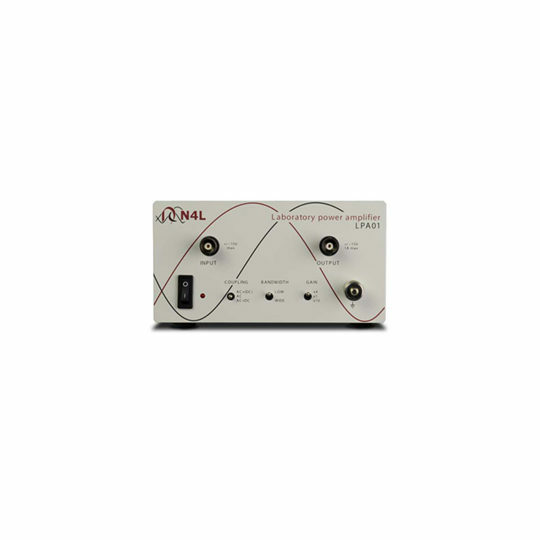 LPA01 is a high frequency amplifier with 1A pk current output capability at 24V pk-pk from dc to greater than 1MHz. 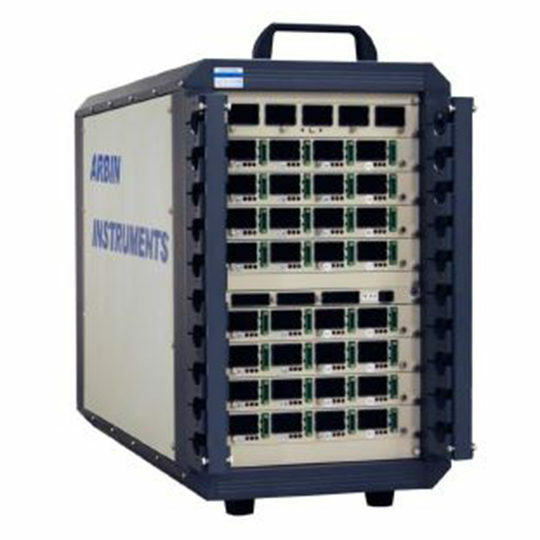 It uses a composite amplifier arrangement with an integrated power driver to give dc accuracy and excellent high frequency performance, with high reliability. 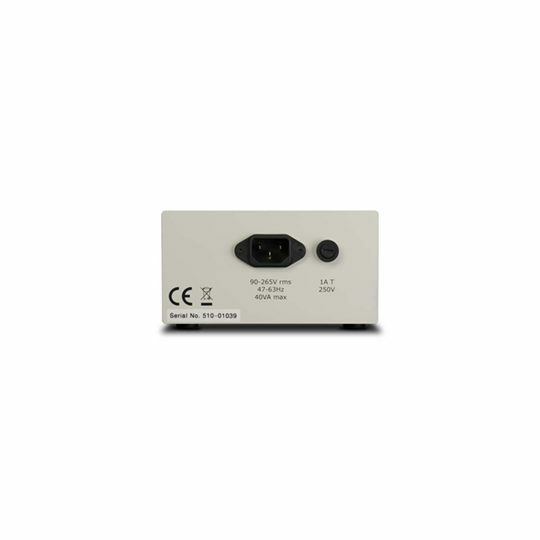 LPA01 is compensated to drive any capacitive, inductive or resistive load; internal short circuit protection plus power diodes with high energy transient absorption devices protect the LPA01 against overload or inductive flyback transients. The gain is set using 0.1% resistors for accuracy and thermal stability. As well as ac and ac+dc coupling there is a special coupling mode, ac+ (dc), where the dc component is not eliminated entirely but is reduced by a factor of about 10. This is particularly useful for testing wound components with a controlled dc bias current where the dc resistance of the component is considerably lower than the ac resistance. The high frequency bandwidth can also be reduced with a low pass filter. 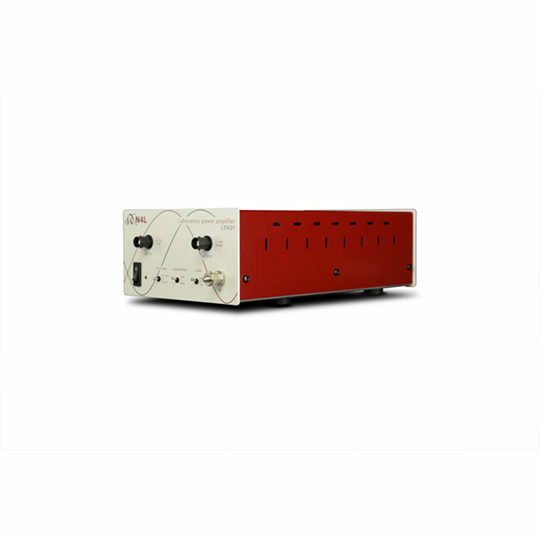 The LPA01 is mains powered and housed in a robust steel cabinet.